Plastic Systems can provide its expertise in terms of know-how, service, technical, engineering and software advice for storage systems and pneumatic conveying systems for plastic material and additives in granule/powder form. Their aluminum modular structure represents a flexible solution to reduce transportation costs. L-shaped flanges with a liquid gasket and stainless-steel screws ensure a safe and hermetic assembly. 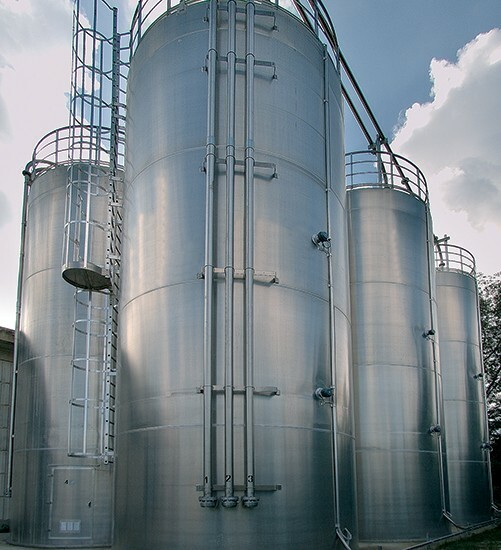 Modular silos are suitable to be installed outside factories and positioned on properly-sized reinforced-concrete platforms. All our silos are manufactured according to norms DIN 4149. The structural stability is based on the loads and stresses that refer to standards DIN1055. All the silos are welded with a technique called vertical axis which ensures the straightness of the cylinder. The size of the silo depends on the daily consumption but we recommend choosing a minimum capacity having a load volu- me 30% bigger than that of a tank truck. 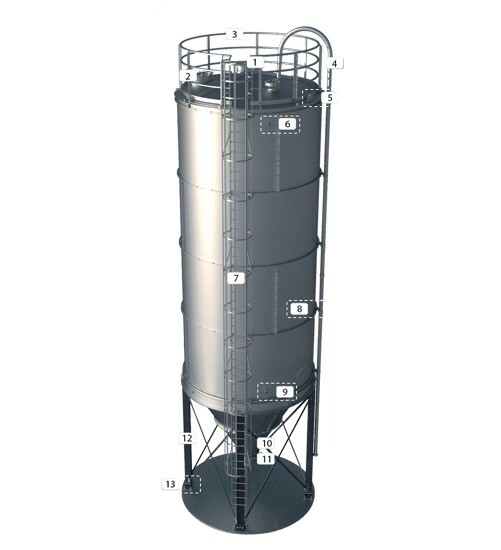 •Silos with capacities from 150 to 400m3. •Silos management through Plastic Systems SUPERVISOR. Material level is controlled with a radar or load cells. •The following are made of aluminium: silos (AlMg2 5454), acces- sories (AlMgSi0,5 alloy 6060) bolts and nuts (AISI). •The supporting structure and fixing accessories are made of galvanized steel. Reduction of costs for raw material and material handling. Reduction of waste of plastic material.